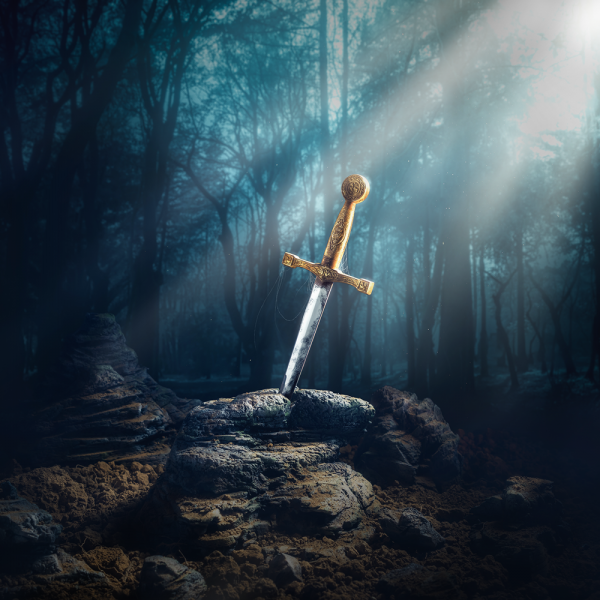 After months of development our new room Excalibur is opening on Friday the 10th of November 2017! It will be our first original room at Breakout Chester and is not available at any of our other sites. The staff who have played the test games so far have loved it so we can't wait for it to open to the public. "You and your fellow knights have been kidnapped from Camelot and are being held captive in a tower whilst the intruders allege to be you. You’ll need to find a way out of the tower and make your way back to the round table and prove you are the true king by removing the sword from the stone..."
This room definitely has an air of adventure and is for the those dying to take up sword for a noble cause.... Excalibur awaits . . .